Pets in Space! Science fiction—so far. Someday. . . . But how about pets FROM space? Not fiction, but historical fact. In August, 1960, two dogs, Belka and Strelka, were launched into space aboard the Soviet spacecraft Sputnik 5. They were the first animals to successfully orbit the Earth and survive their adventures. They did more than merely survive: Strelka (the name translates to “Little Arrow”) later gave birth to five puppies. At a state dinner in Vienna, early in June, 1961, Jackie Kennedy, seated next to Nikita Khrushchev and at a loss for innocuous dinner-table subjects, thought to ask about Strelka and her puppies. Some time later, a mysterious package arrived at the White House. Inside was one of the litter—a puppy, Pushinka. In October 1962 the world held its breath as what became known as the Cuban Missile Crisis unfolded. Nuclear war was averted, and the personal relationship between JFK and Nikita Khrushchev is often credited with making this possible. Perhaps, too, the world’s first Pet FROM Space had a paw in this. We’ll never know, but we can wonder. 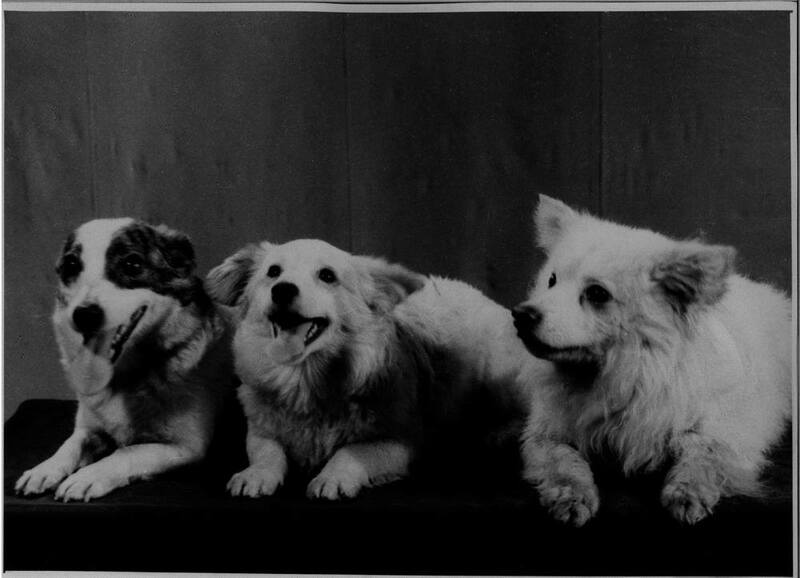 In this photo, Pushinka in the middle is flanked by parents Strelka (left) and Pushok (right).